WHY IS THERE A MEETING PLACE CALLED RAJNEESH MANDIR? WHY NOT GIVE IT ANOTHER NAME WHEN THERE IS NO RAJNEESHISM ANYMORE? It is true. There is no Rajneeshism anymore -- but Rajneesh is still here. And this question must be from somebody who is from the outside, who does not know the commune of the sannyasins and their heart. I have not put that name there. I have come into the world without a name -- I don't know about you -- and I will go from this world without a name. Between these two nameless states, any name is just arbitrary. You can change the name; there is no problem. If somebody feels hurt by the name... I do not want anybody to be hurt. But if the commune wants the name.... It is the only direct democracy in the whole world. All the democracies are indirect, and the moment democracy becomes indirect it is no longer democracy. It is just a Rotary Club, changing from one party to another -- but you remain the slaves. Whether you choose the Republicans or the Democrats, it makes no difference. Once you have chosen, then for four years in one country, five years in another country, you have given up your democracy. Then the persons you have chosen function in every fascist way. This is a direct democracy. If you want to change the name of Rajneesh Mandir to another name, I will be more than happy. But if you don't want to change it, then I am helpless. I am here just as your guest. I cannot go on changing things in your commune. So let me ask you: Do you want the name Rajneesh Mandir? Then raise both of your hands and say yes three times! And who is the person who has asked the question? Please stand up. I would just like to see your beautiful face. Don't you have any guts? You don't know how this commune functions. Remember, the name can be changed, but with it many other things will be changed too. You will have to do the discourses here; I will not be coming. You will have to guide my people on their spiritual path; I will simply vacate the place for you. Whoever has asked this must be feeling deep down that if it was his name, that would have been really nice. It can be. I can persuade my people -- although they are against changing it. But they love me, and if I say to them to change it they will do it. But where are you? -- because from tomorrow the chair will be empty. I have known one old man -- ninety years old -- who has been fighting a case for sixty years. When he was thirty he wrote a book, HISTORY OF INDIA. But because it was not in accordance with the British government.... He has simply stated the real facts, not bothering whether they go against the British or favor the British. He was a very impartial man. The man was sued by the government of India, his book was banned. The publisher, the printer, the editor and he -- four persons were sued. Three of them died; the case continued. Many judges came and died; the case continued. Even the British government disappeared from India; the case continued. I told the first prime minister, Jawaharlal Nehru, "The case on Pandit Sunderlal should be removed. This is ridiculous." He said, "You don't understand the ways of laws. It is a very complex case, and has become more and more complex as time has gone on." I asked Pandit Sunderlal, "When is this case going to end?" He said, "Not before I am dead, because I am the only remaining person. All the advocates who have been involved, all the judges, all the people who were sued by the government are gone, the government itself is finished, but the case continues. This is bureaucracy. Things simply don't move, or move with such a slow pace that it is inconceivable." A whole department has been deciding about me for four years. They have been given a whole department and an office, and dozens of people to figure out whether my green card can be issued or not. In four years they have not come to any conclusion. Great intelligence! If they have any dignity and if they have any respect for their Constitution; if the Supreme Court of America is really fair, it will order all the Americans to vacate America. Give it back to the Red Indians to whom it belongs, and you all apply for green cards: you are not native to this place. This is the only country in the whole world where slavery is not going to be destroyed. In India it was possible to destroy the British kingdom for the simple reason that the British never made it their home. They remained there to rule and exploit, but it was not their home. From all over the world slavery is disappearing, but in America the question is not even asked. I am going to fight it in the Supreme Court, and challenge the Supreme Court: "If you have any fairness, then all the Americans either should leave the country, or should apply for visas. It has been long enough they have been touring here. Tourists are tourists: what right have they to claim other people's land?" And the Supreme Court should dissolve the American parliament and dismiss the American president, and invite the Red Indians to make their government. That will be a real tribute to the American Constitution, to justice. And as a by-product it will destroy the possibility of a third world war, because Red Indians are not going to make nuclear weapons. They are so happy dancing, singing, gambling, drinking. Who bothers about fighting and a nuclear war? With me, it is not going to be an easy case. It is me versus America. And I want them to come to a decision -- any decision, yes or no. Whatever their decision is, I am going to move to the court -- even if they say yes, because I don't recognize that they have any authority to say yes. They are foreign tourists, invaders. Who has given them the authority to give me a green card? So they should not think that by giving me a yes, the thing is finished. But my commune is a direct democracy. Anything can be asked directly to five thousand people. And if they want to change it, it is perfectly right. If they don't want to change it, it is perfectly right. It is their commune. But those who ask such questions should have a little guts and come up front and face the people. WE ARE NO LONGER A RELIGIOUS COMMUNE; THEN WHAT ARE WE? AND WHAT DO YOU SAY ABOUT THE TAX-EXEMPT STATUS OF RAJNEESH FOUNDATION, AND ALSO ABOUT YOUR IMMIGRATION? IS IT NOT JEOPARDIZED? Nothing is jeopardized. My immigration is going to expose America, its hypocrisy, to the whole world. Their democracy, their mask of democracy is jeopardized. We have declared Rajneeshism, as a religion, dead. That does not mean that you have lost something. You have gained. 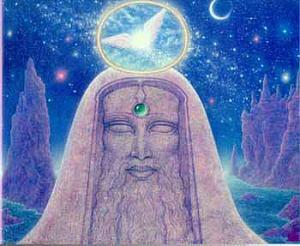 Now it is a commune of mystics, people who are seekers of the mysteries of their own being. It is no longer an organized religion like Christianity, Judaism, Hinduism, Mohammedanism; it is no longer a religion, but it has a flavor of religiousness. The flower is no longer there, but the fragrance has taken wings into the air. You are freed from confinement. Each individual now is his own religion, his own spirituality, his own seeking, search, inquiry. Nobody is going to dominate him. He has not to follow a church, a pope, a high priestess. He has simply to follow his own natural simplicity, potentiality. Who can take away the tax-exempt status of Rajneesh Foundation International? 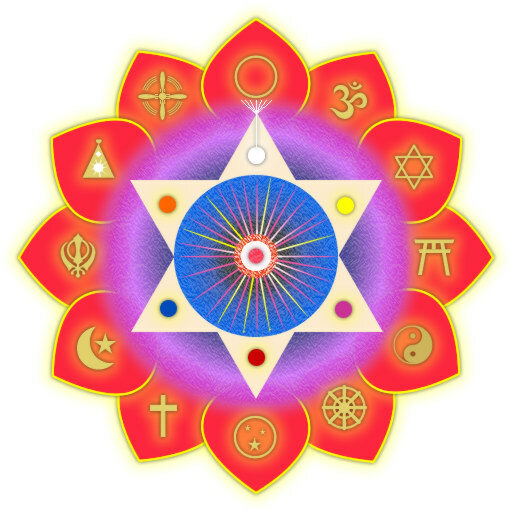 It has risen higher in spirituality by dissolving the organized religion. In fact, all organized religions should lose their tax-exempt status because they are not religious. The moment truth is organized, it becomes a lie, it becomes politics. Organization is a political thing. Religion is an individual search. So we are opening many new dimensions to fight with all kinds of stupidities which are prevalent in the world. We are the only people who should be given tax-exempt status, because we have dropped that bullock cart organizational religion and burned it completely; we have freed individuals to be spiritual on their own. Do you think a person cannot have the qualities of religiousness without being part of an organization? Do you think by becoming a part of an organization a person automatically gets religious qualities? Then look at history. The religion based on the name of Jesus Christ has killed millions of people in these twenty centuries, burned people alive. It is based on Jesus' truth, and Jesus was teaching, "If somebody hits you on one cheek, give him the other cheek." Do you see any relationship between all the crusades, killings, wars, burning towns, burning living people -- and Jesus' statement? This is what happens when truth is organized. It dies. Truth is something which blossoms only in individual freedom, in the total freedom of your being. Look at the Hindus. They are still following ancient scriptures, five thousand years old, which are full of ugliness, which cannot be even called human. But because Hinduism is organized, it is a religion. One-fourth of the Hindus have lived, for ten thousand years at least, in a very inhuman way; they have been forced to live in an inhuman way. They are called untouchables. This is religiousness? One-fourth of Hindus cannot take water from the well from which everybody else takes water. They cannot live in the city, they have to live outside the city. You will be surprised to know that even today there are places which are very orthodox. The untouchables move with a bell in their hand, continuously making people aware that an untouchable is passing: "Please move away. Close your doors." And they have been forced to have a broom attached to their back so that, when they move, the broom goes on cleaning the road, because they are touching it and it is becoming unholy. They cannot move in all the parts of the city where higher classes live. These people are religious? -- and they all have tax-exempt status. Mohammedans have killed thousands of people, burned thousands of cities, raped thousands of women, forced people to become Mohammedans at the point of the sword. In the fourteen hundred years they have been on the earth they have been just a curse! But they are a religion. I don't want any organization. I don't want you to be political in the name of religion. I want you to be aware that all these religions don't have any religious quality. The religious quality comes through meditation, and meditation has nothing to do with organization. It is something... you have to go inwards; organization is something outside you. You need not go to a church to be religious, or to a synagogue to be religious. You have to go inside yourself. That makes one a mystic, a scientist of one's own interiority. And only the few people who are doing this inner search are truly religious. Nobody can take away the tax-exempt status from Rajneesh Foundation International. If they even raise the question, I am going to prove to them that all the religions should be stopped from being given tax-exempt status. They have done only murders, rapes; they are criminals. It is only a meditative person who becomes silent, serene, centered, reaches to his innermost core. From there arises the fragrance of truth, love, compassion. He will not be a Christian, he will not be a Jew, he will not be a Rajneeshee. He will be only a mystic, one who has known his own mystery. So, by declaring Rajneeshism dead, I have made you alive. I have given you the real dimension of flowering and blossoming and growing into true religiousness. I call my way, the way of religiousness -- but it is not an organization, it is an individual inquiry. You are worried about my immigration status. Don't be worried about me, I can fight with all kinds of idiots without any trouble. I don't need any legal support. A way of religiousness certainly.... I am not the leader of a religion, because the leader -- the very word "leader" is ugly. It is political. I am a friend, a guide, a philosopher. And if you don't have any category for a friend, a guide and a philosopher, then create a category. Laws are for man; man is not for laws. You have never encountered a man like me; naturally you don't have any category. But now I am here, create a category for me. I don't belong to any other category, I have my own category. But nobody can say that I am not religious, that I am not loving, that I am not a guide to millions of people. So don't be worried about anything. Let them worry; they are already worried, and now they will be worried even more. They have been trying, but they cannot prove that I am not religious, they cannot prove that I am not meditative; they don't have any criterion for it. I can prove that Jesus is not religious, is not meditative -- and the whole of Christianity goes down the drain. I can prove that Mohammed is not meditative, is not a religious person -- and the whole of Mohammedanism is nothing but a political strategy, a lust for power. I am open and ready to challenge all these people. Pope the Polack -- he is welcome. He can come here and be our guest, and have a little discussion about meditation, what he knows about it. These are the people who have created all the poverty in the world. These are the people who are still teaching against birth control. That means more poor people, and more clients for them to convert to Catholicism, to Christianity. Their interest is not in the sufferings of the poor, in the sufferings of the orphans. Their interest is in more orphans, more Catholics. Now there are six hundred million Catholics in the world; naturally, the pope becomes one of the greatest powers. Otherwise, he is just a Polack; nothing less, nothing more. It is a politics of numbers. That's why I am saying you should not ever get interested in organizations. The moment you become organized, you become interested in numbers. I have allowed you complete freedom from any outer symbols -- now it is up to you. You are free, and all the colors of the rainbow are yours. You are free to use the mala or not. Only one thing remains: it is your journey inwards, which is the essence of religiousness. So just don't be worried about anything. I alone am enough to fight all the politicians of America and all their agencies, and the government and the Supreme Court. And this is not out of any ego, it is simply out of a humble experience of truth. And truth is going to be victorious. THE RELIGION IS DEAD. THEN IS THERE ANY NEED OF MEDITATION? My God! It seems it is the same idiot who is asking all these questions. Because the religion is dead, now only meditation is left. I had to destroy everything nonessential, so you don't get lost in nonessentials as all other people in the world have. They have got lost in nonessentials, and completely forgotten the essential. The essential is very simple; the nonessentials you can go on increasing. Buddhism has thirty-three thousand rules for the Buddhist monk. Now, I don't think any Buddhist monk can even remember them. I don't think even Gautam Buddha can repeat them again. Thirty-three thousand rules! And if people start following these rules, who is going to meditate? There is no time left. Strange kinds of rules all the religions have! I have not given you a single rule -- just to keep you focused on the essential, the only thing that can transform you. And you are asking me, "Now that the religion is dead, is there any need of meditation?" Then what the hell are you doing here? The religion is dead, meditation is no longer needed, so what the hell are you doing? Get lost! Go to the county road which goes directly to hell! You will have some taste on the county road of what it means to go towards hell. The county road has been made such a great thing, to give an experience to people of how the road to hell goes. Can't you see a simple thing? I used to live in a place, and in front of my house there lived a man.... Followers of Jainism have this idea that women are impure. I don't know what they mean, because they have the same blood, the same bones. And, in fact, man is born from the woman's womb. From the father he has got only a small injection of a male sperm, so minute that you cannot see it with bare eyes. That is his father's contribution. The father's contribution is almost nil, any syringe can do it far better. There is no need for so many gymnastics to do it. But everything else comes from the mother -- your blood, your bones, your flesh, everything comes from the woman. And Jainism has the idea that women are impure. I cannot see the logic. Then what happens to men? Men must be more impure; nine months living in a woman's womb, growing with her blood -- everything that you have has come from your mother, except one sperm from your father. But nobody asks about men. This man who lived in front of my house was a very orthodox Jaina. And he was in real trouble. The trouble was that he was a poor man, he had no running water inside his house. So he would go outside on the street, to the public water place where everybody was getting water, as early as possible. But if he saw a woman pass by, then that water that he had in his pot had become impure. He would throw away the water, wash his pot again. Sometimes it would be ten times, sometimes twenty times, sometimes it would be almost the whole morning that he was doing that. And who can prevent them? Half of the people are women, half are men, and it is a road. I told him, "You waste so much time, you are bound to be poor; you are responsible for your poverty. If you washed people's pots and carried so much water to people's houses, you would have enough money for yourself. And what nonsense you go on doing!" One day it was too much, because I told one woman, "Whatsoever happens -- I am going to give you five rupees -- you continue walking down the street the whole day. And I have to see this man and his religion." The whole day he was throwing away water and washing his pots, and getting angrier and angrier. And finally, by the time the sun was setting... he had been doing that since sunrise, now it was too much. He was hungry, he had not eaten; he had not gone to work -- he hit the woman with his pot! I reached there at that moment, and I told him, "This is absolutely wrong. The pot has become impure for its whole life. Now you cannot wash it clean, it has touched a woman. And what happened to your nonviolence, your compassion?" He said, "This woman is very bitchy. I want to kill her!" I said, "That is not allowed in your religion. You have forgotten completely, just cleaning your pot, that murder is not allowed by your religion. But suicide is allowed by Jainism, so if you are fed up, you can commit suicide." He said, "You are strange! You always give me strange ideas. And I am puzzled why this woman goes on walking up and down the road." I said, "I have arranged it with her. And from tomorrow she is going to walk up and down, because I am going to pay her five rupees per day until you stop this nonsense." It is easy to see other religions and their stupidities. It is very difficult to see your own conditioning, the religion in which you have been brought up. But if you are a little aloof -- and that's what meditation is: being aloof, detached, watching your mind -- you will be surprised what kinds of things you have been thinking are religious. No Christian thinks that drinking alcohol is irreligious. In fact, on every holy occasion alcohol is an absolute essential. Now, Jainas or Buddhists cannot think of a religious person drinking alcohol. To them, all Christians are irreligious, antireligious. Mohammedans, Christians, Jews -- all are meat-eaters. It does not occur to you that killing living animals just for your taste... and what taste? Just a few tastebuds on your tongue can be removed by any plastic surgeon very easily, and you will not taste anything. Just for your tastebuds you are killing living beings -- and still you think you are religious? And if Charles Darwin is right, then you are killing your forefathers. This is not good, it is not even nice -- what to say about it being Christian? Mohammedans think that God has created all the animals for man to eat. Their religious scripture says it, so there is no question about it: animals have been specifically created for man to eat. They don't see the implication of it. It means God is also a cannibal, life-destructive; he is not a creator, he is a destroyer. A meditator -- who is neither a Christian, nor a Hindu, nor a Mohammedan, nor a Jaina, nor a Buddhist, but simply an inquirer into his subjectivity: "Who am I? What is this life?" -- the moment he comes to know this life, he also comes to know all life, because it is the same. Then he sees life not only in other human beings, he sees life in animals, he sees life in trees, he sees life all around. The whole existence is alive; we are not living in a dead existence. Out of a dead existence, life cannot arise. And when you come to your center, you also know the ultimate peak of consciousness, the very Everest of consciousness. From that height you can see that there are people who have the same potential, but are not aware of it, are too much engaged in the outside world. Even if they become religious, then too they are engaged in outside rules, regulations, disciplines. But they have the same Everest of consciousness. Not only man, animals have the same possibility. The trees have the same possibility. They have tremendous sensitivity. Even in plucking a flower, you are hurting the tree. A man of meditation cannot do it -- not because it is prohibited in his scripture: he cannot do many things simply because now his consciousness gives him the clarity to see what is right, what is good, what is wrong, what is bad. And to attain to this clarity is enough. The moment you know of your own accord what is right and what is wrong, you cannot do the wrong. It is impossible. When you know what is good and what is bad, you cannot do the bad. The evil, the bad, the ugly is possible only in sleep. The real religiousness is essentially very simple. I call it meditation. You can give it another name, awareness; or another name, consciousness. But whatever you call it, it has nothing to do with any organization, any holy scripture, any leader. Yes, a friend who has seen that luminous, that ecstatic world, who has touched the farthest star in his being, can help you as a guide. I am not your leader -- leaders happen in politics. I am not your priest -- because I cannot do anything on your behalf. I am simply a friend whose own experience has made him so full of love that he wants to share it with anybody who is willing to share. And to a guide you don't owe anything. Just a thank-you perhaps will be more than enough. So you don't owe anything to me. But the death of religion makes meditation absolutely important. Now you don't have anything left with which to deceive yourself. I have taken everything away that could have distracted you, and left you alone with meditation. And you are asking me, "Should we stop meditating too?" Why don't you ask, "Should we stop living too? Because religion is dead, should we be also dead?" No, meditation you want to stop -- and what are you going to do then? Eat, drink and be merry, because the religion is dead? I am not against "Eat, drink and be merry," but a meditator really eats. He knows really the taste. While you are eating, you are doing a thousand and one things in your head; you are not there. A meditator just drinking a cup of tea enjoys each sip as if he has found a treasure. He tastes everything -- the beauty of a rose, or a bird on the wing, a white floating cloud in the sky, a night full of stars. Existence is so full of splendor that a meditator -- because he is silent, available, present to the moment -- enjoys everything to its fullest. I am not against your eating, drinking and merrying. I would like it to happen more deeply, more profoundly. But to give it that intensity, that totality, that profundity, that depth... except meditation, there is no other way. Life without meditation is simply vegetating. You can be different vegetables. Somebody is a cabbage, somebody is a cauliflower.... A cauliflower is only a cabbage with college degrees, not much difference. But to live truly, you have to know yourself. "Know thyself," says Socrates, but his statement is incomplete. I would like to say to you, "Know thyself so that you can be yourself." And in being yourself, you are fulfilled. You have come home, the wandering is finished. Now there is nowhere to go, you have arrived. You have known the eternal life, its beauty, its bliss. All that you can do now is share it -- which comes automatically. When you see people stumbling in the dark, you start helping them, trying to move them in the right direction. It is a joy. When the gardener sees his rosebush full of flowers one morning, his heart also blossoms with the flowers. And that's what happens to a man who has known himself, who has become himself. He starts sharing his joy, his bliss, his love, in different ways with different people -- whoever is available. And whenever he sees somebody moving in the right direction, he is immensely gratified, satisfied. Existence has given him so much, and he has nothing else to give to existence to show his gratitude. This is his gratitude. And when he sees others also reaching home, he feels that he has not been ungrateful -- and that is a tremendous experience. When I see you moving, growing, this is my gratitude towards existence. It has given me so much, there is no way to pay anything back; there is no word even to express gratitude. The only way is that my every breath should be used in helping people to reach to the same Everest of consciousness.